The In a Box student stationery deluxe pack – For the discerning student who wants to be fully prepared for the studying to come. All sent directly to their halls of residence in time for the start of term or to their home addresses if they wish to transport it to their place of study themselves! Make sure you are fully prepared for any lesson, exam, or homework with our complete student stationery deluxe pack. 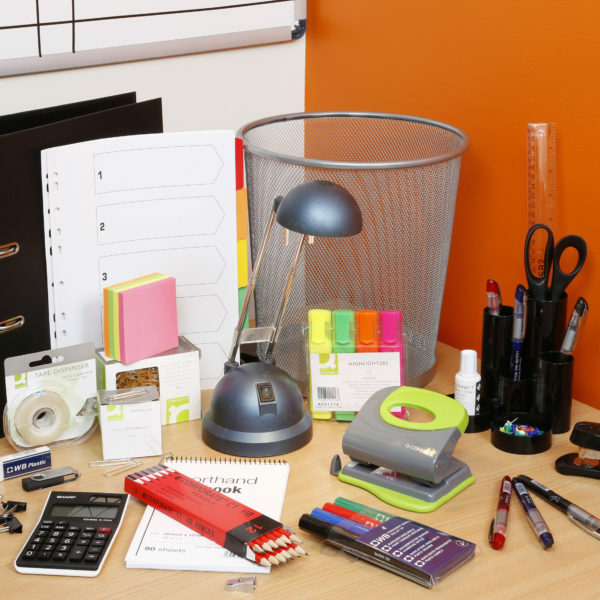 In A Box has specially chosen the items for this stationery pack for students who want to have more than just the essentials so they can be absolutely prepared for anything that might be required of them at university. 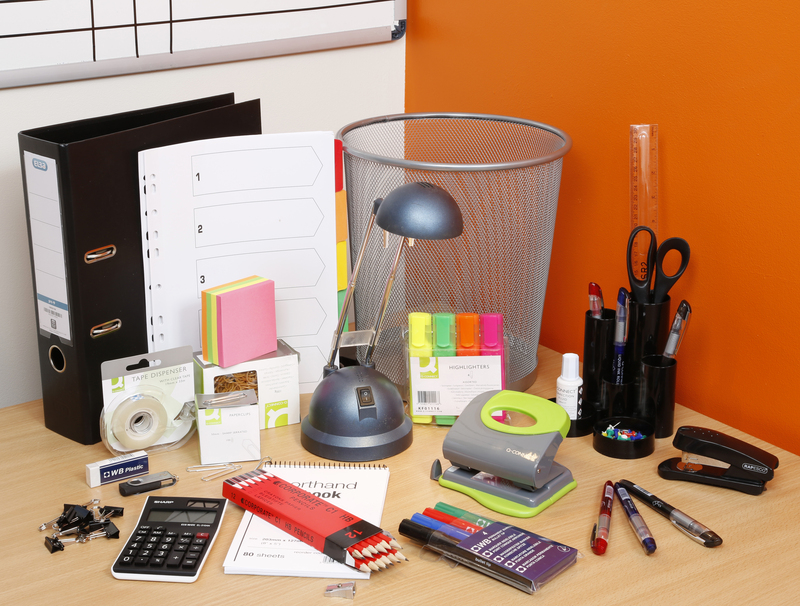 The student stationery deluxe pack goes a step further by providing practical items like an 8-gigabyte USB, calculator, desk lamp, lever arch file, set of dividers, and permanent markers in assorted colours. 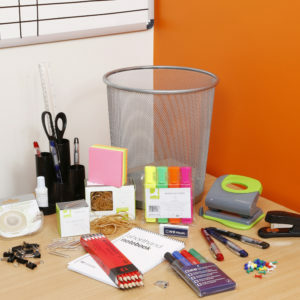 Like our basic student stationery pack, the deluxe variation has the complete tools of the trade that new university students might need – including pens and pencils, notepads and Post Its, scissors and stapler, hole punch and ruler, and a whole lot more. Keep your notes and other documents organised with handy paper clips, metal binder clips, and rubber bands. Never forget any scheduled exam or project deadline with help from notice board pins and a smack eraser board with marker pens, eraser, and magnets. Whatever you might need for your university life is in this stationery kit specially designed for students. Being fully prepared for the classroom and for any academic requirement is only one aspect of the university life. Incoming first years should also have the necessary items to live a comfortable independent life at their dormitory or hall of residence. If you need a complete bedding and bath package, or the basic kitchen essentials for your everyday cooking and meals, simply visit our website and put everything you need in your cart. What our clients like about In A Box is that they can pre-order the items they need now and avoid the hassle of rushing to buy everything later on. They simple provide us the delivery address and relevant details later on so we could bring their order to the student accommodation right before the school term starts. For a convenient, speedy, and reliable way to equip students with everything they might need, trust In A Box. Visit our website now!